LG (KRX:066570) has announced it will unveil it’s latest phone — the v20 — on September 6. And one thing at least is for certain. 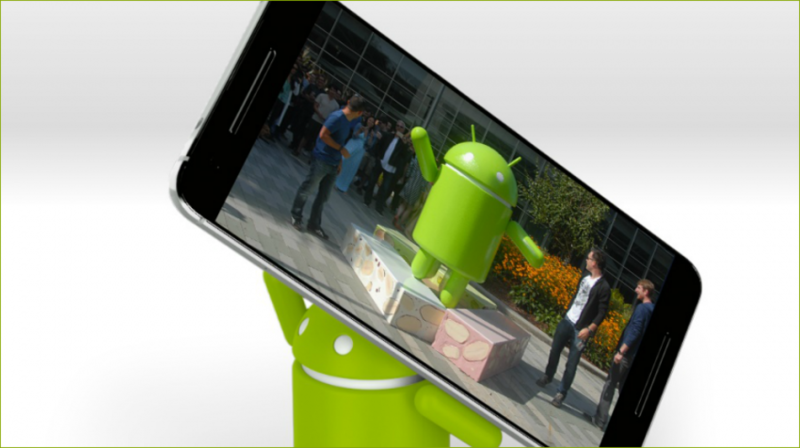 The phone will be the first to run the new Android Nougat operating system. But what does that mean exactly and how useful will the phone be for business communications? The announcements of new smartphones and mobile operating systems are met with great anticipation because of the reliance on these devices. Customers want innovative features and useful applications to improve the way they communicate, work, play, shop and more. So it is not surprising that the level of expectation is that much higher with the announcement that LG’s new flagship phone will be the first to ship with the latest Android operating system inside. So any other features discussed in the media are pretty much speculation until LG makes more information available. However, Engadget has reported the V20 will have a “dual front selfie” camera, a second screen similar to the V10, and will be the first phone with a built-in 32-bit DAC (digital to analog converter). The phone is slated for release in the third quarter of 2016, with no specific date set by LG. Nougat is the latest mobile operating system from Android, and just like the previous versions it is named after a sweet treat (even though the popular choice amongst users was Nutella). Google made the developer preview available early, and it is now on version 5, which will be the last one before general availability. During I/O 2016, Google said Android N (as it was known at the time) will focus on performance, security and productivity, features that are essential in today’s smartphones because they are increasingly becoming part of the workforce ecosystem. Nougat has the new Vulkan 3D graphics API, which has been designed to allow developers to get better details into graphical frames. It can improve graphical performance on regular apps by 30 to 60 percent, making gamers that much happier. A new JIT (just-in-time) compiler will be able to install apps up to 75 percent faster while reducing the compiled code size by 50 percent. This will result in improved battery life because it won’t tax the processor as much. The popularity of Android makes it a great target for hackers, and the way it is distributed makes it that much more challenging to secure. In order to address this problem, Nougat will implement a three-pronged approach: a file-based encryption, automatic software updates in the background, and media framework hardening to ensure the safety of the device when users are accessing media and media types. Smartphones are used to get things done. Activities can include work, play, shopping, paying bills and a host of other tasks. With that in mind Nougat has introduced several productivity tools to help in these endeavors. The new Direct Reply feature lets you directly reply to messages, emails and other form of communications directly from the notification bar. The reply options also include 72 new realistic Unicode 9 emoji glyphs, so you can make your point without having to say a word. A new multi-window feature will allow users to Split Screen, so you can video conference on one side, while looking at relevant information on the other. Last but not least is Daydream, Google’s new VR platform. Even though Google will have its own headset, the support in Android Nougat means phone makers that are Daydream-ready will be able to take advantage of the growing popularity of virtual reality. Android Nougat will have a total of 250 new features, and phones such as the LG V20 will come ready out of the box so users can have a better experience when they communicate, work and play.